Christmas is one of the best times of the year- but sometimes it can be the most stressful. Finding the perfect present for your family and friends can be a difficult task, but we are here to take away the pain. We’ve listed 5 tips that will take away the pain, so you can enjoy this beautiful & festive time. Make the present an event: Get creative with the packaging. 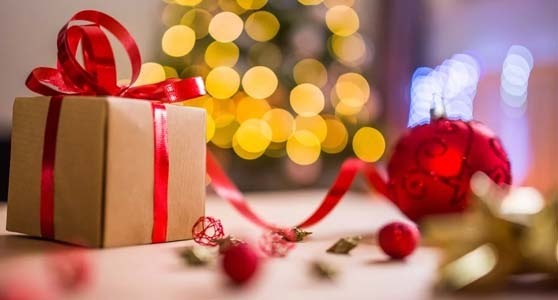 Rather than just handing them a gift in regular wrapping paper, think of gifting the experience as an event. Whether it be to send them on a scavenger hunt or having them solve a riddle to find their gift. Never underestimate the sheer fun of unwrapping presents. Sometimes quantity can mean quality, when it’s a bunch of small individually wrapped items. Literally give an experience: Just say she loves Mama Mia but has already read the book and seen the movie more times than you can count. Buy her tickets to see the show. Do some investigating: If all else fails, investigate. Most people have a wish list on their favourite online stores or on their phone. They would be pretty surprised and delighted if you somehow found just the thing they wanted without asking. Include a little bit of yourself: Make it personal in a different way- personalised from you rather than for them. Write them a heartfelt card, organise a fun day out together full of activities. The thoughtful of gifts are always the best gifts. Make a list of all the things that person is interested in and things that define who they are. Spend at least two or three minutes writing down as many things as you can. Now brainstorm something to go with every item on that list, big or small. You don’t have to buy all of them, but it sure will make you think of ideas you perhaps never would have. If none of these tips give you any ideas then we have the perfect gift that would leave no one disappointed. A gift card for the Odyssey Taverna at The Greek Club where they will be able to indulge in our authentic Greek cuisine, exceptional service and create an experience they won’t forget. Give us a call on 3844 1166 for more information.